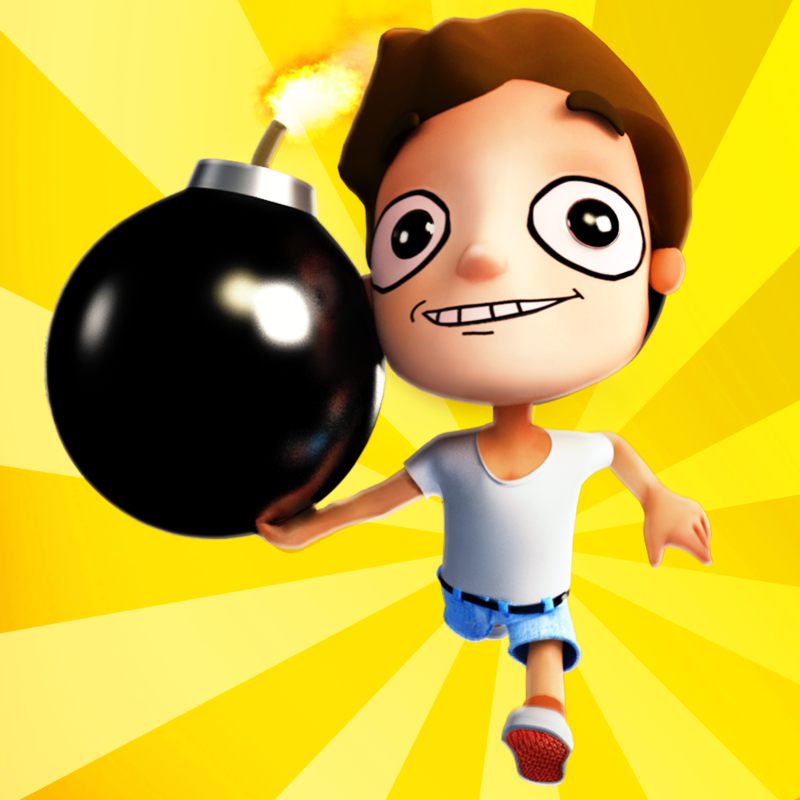 Tiny Runners: BOOM! (Free) by Garage Clans is a combination of a platformer and racing game that combines the best of both worlds. 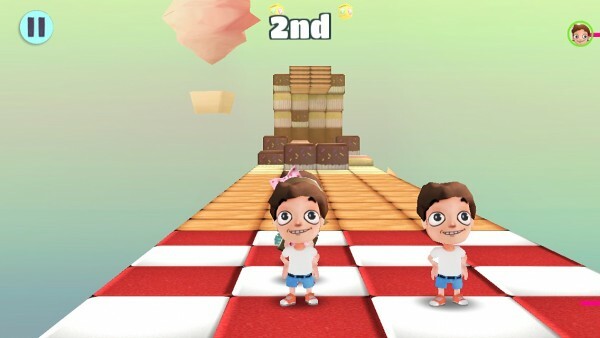 In the one-of-a-kind 3-D environments within this game, you’ll engage in multiplayer races to find out who, in fact, is the best tiny runner. Will it be you? Let’s have a closer look. As crazy as it sounds, you can think of Tiny Runners: BOOM! 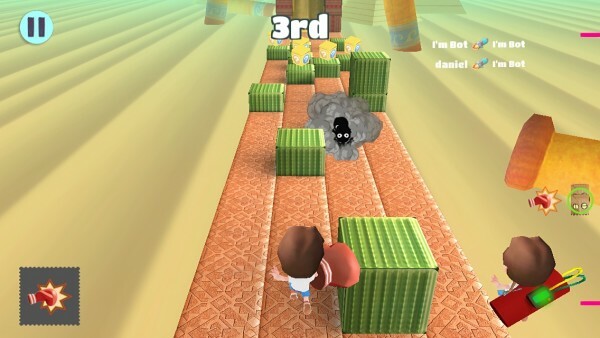 as Mario Kart meets Temple Run. 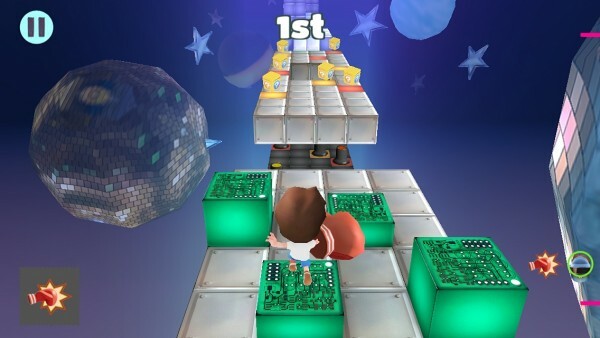 The racing element, which includes crazy power-ups, along with the controls make Tiny Runners feel like a combination of those games. 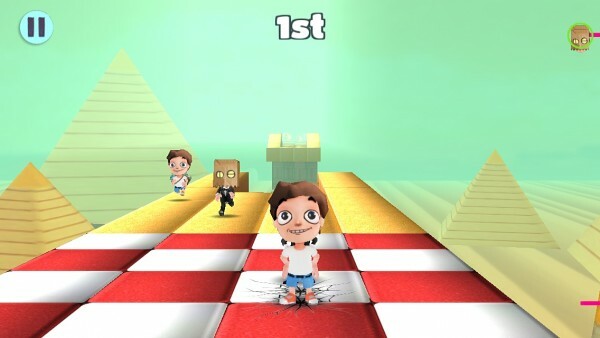 Each race is against three other players, who can be random opponents matched over the Internet, in-game bots, or friends you choose. The only direction to go in is straight along any of the four paths while jumping over obstacles and releasing weapons strategically. The hectic nature of each race is what reminds me of Nintendo’s hit racing games, especially since the goal of the weapons is to delay other runners. 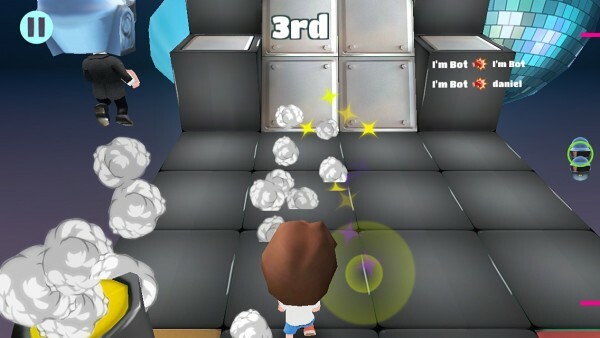 The controls in Tiny Runners: BOOM! are straightforward. 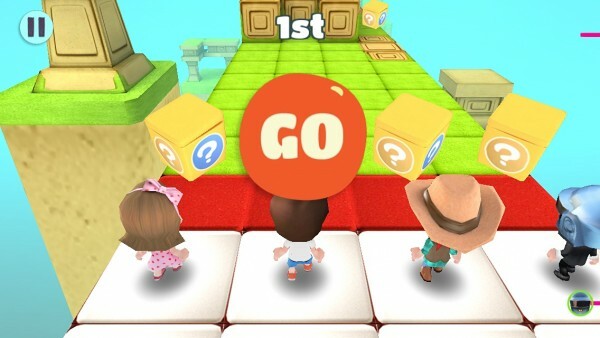 Swiping up will allow you to jump or scale a wall in front of you, whereas swiping left or right will allow you to switch lanes on the terrain of any of the game’s four included worlds. You can also swipe down to slide under things. It’s those controls that remind me of Temple Run. 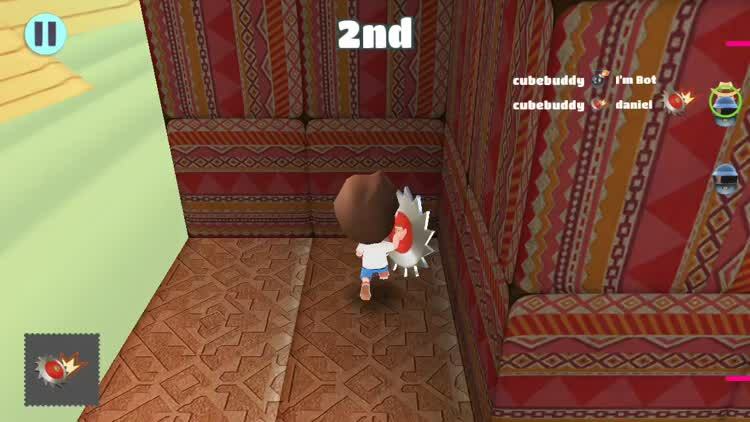 I really like the multiplayer nature of Tiny Runners: BOOM!. 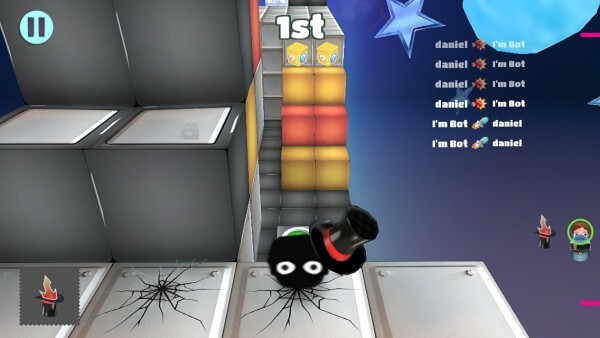 The game loads quickly, and then you can jump in and let it auto-match, choose a friend, or add bots if no one’s around. After this, it’s time to see who can get to the finish line the fastest in a straight-forward race that goes by quickly. 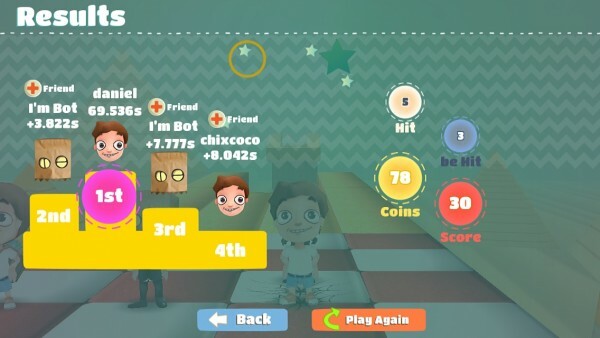 During my experiences after the game had been released, there have always been three other players available instantly to race against. I also like how each player can vote on one of the two worlds chosen for the race to take place in. With that said, the game’s backend has to be working for all of this to take place. At first I was able to load the game just fine, but right before its public release, I kept getting an error saying that the servers were being updated even though they weren’t. I’m thankful for the developer’s fantastic email support, who was able to fix the issue in a matter of hours, but it’s still something to consider. At least it looks like things are up and running for everyone now as far as I understand, which is important since the game relies on an Internet connection. 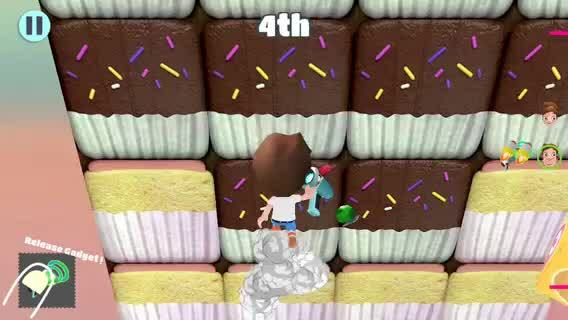 Despite the initial hiccups I had with the game, Tiny Runners: BOOM! has proven to be like nothing else I’ve seen before. I really enjoy the short, action-packed racing, along with the sense of competition that you get from playing against others online. 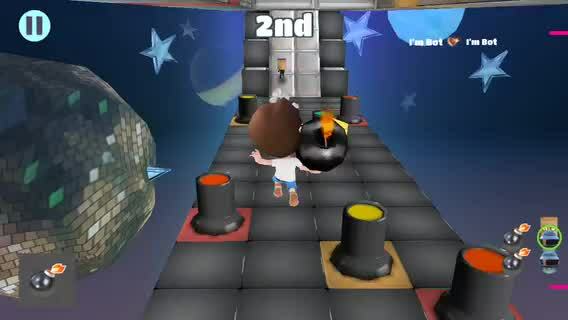 Tiny Runners: BOOM! 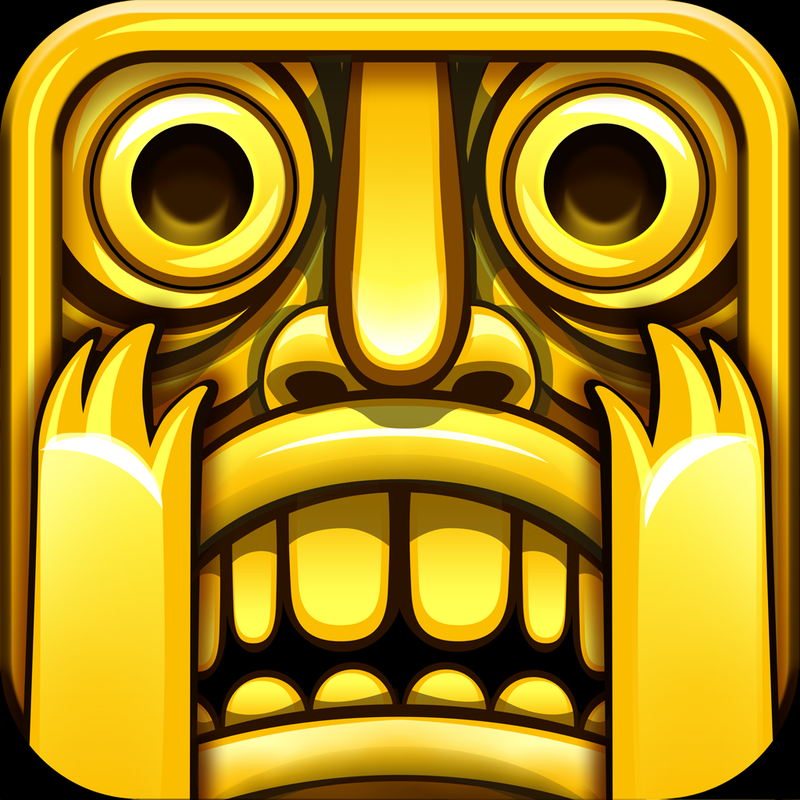 is available as a universal game on the App Store for free. 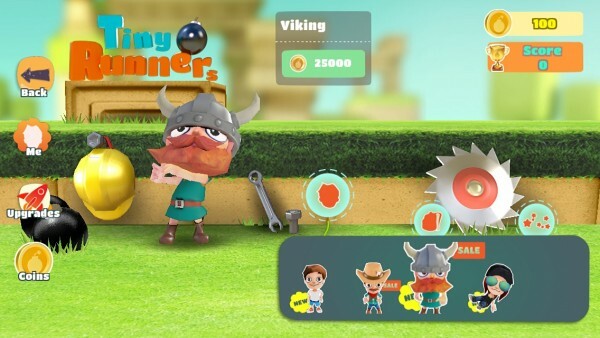 There are also in-app purchases for purchasing more coins, which can be used to unlock additional characters.